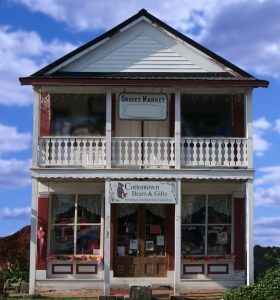 Come visit Cottontown Bears and Gifts in historic Cross Plains, Tennessee. Cross Plains is the oldest settlement in Robertson County and you’ll love what the community offers. Here at Cottontown Bears we offer a wide variety of gifts with an extensive selection of baby clothes, toys, and accessories. Whether you need a jumper, a burp pad, a christening dress, or a teddy bear, we can help. Custom embroidery is available on many items. Find your favorite brands including Steven Joseph Gifts, Ella Jackson, dresses by Baby Sen, musical dolls from Green Tree, Baby Ganz, Mainstreet Collection, and many more plus custom embroidered products ONLY available at Cottontown Bears.